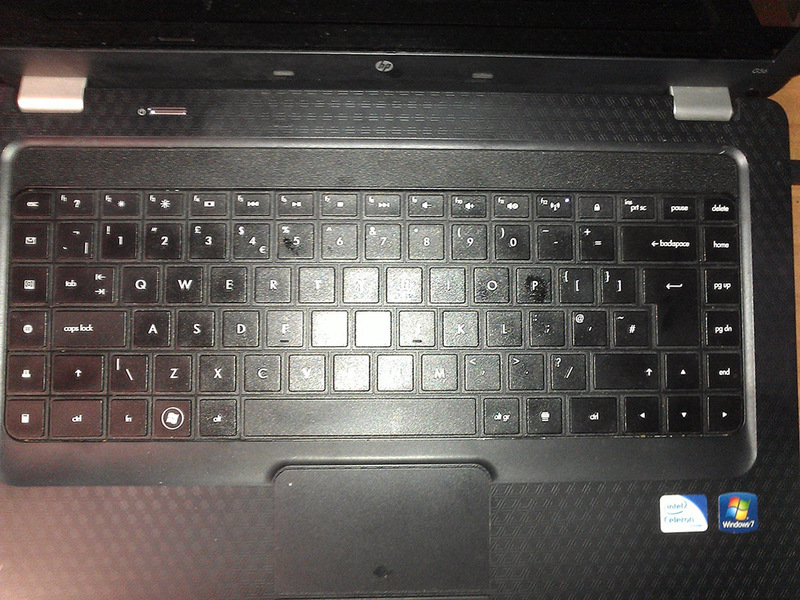 My friend Simon has a HP laptop with shortcut keys on the far left side of the keyboard (pictured above). He doesn’t seem to mind this, but my other friend Danny (website here :D) and I have found this very annoying. Simon doesn’t do CS and generally types slower than us and has more time to look at each key press. With almost all keyboards keys like ‘caps lock’, ‘ctrl’, ‘shift’ and ‘tab’ are at the farthest left of the keyboard so you naturally learn that you just move over to it to press the key you need. Not with the HP laptop. It was great fun and annoying at the same time having multiple calculators, print previews and DVD players opening all over the screen as the shortcuts were pressed instead of the desired key. This is bad HCI and ergonomic design. Most keyboards have shortcut keys on top of the keyboard, out of accidental reach but still easy to use. This is a much better design and it’s weird how this typing problem didn’t come up when they made the laptop. I’ve seen quite a few laptops where space hasn’t been used effectively (Apple’s older MacBooks had a small keyboard in the middle of loads of wasted white space).